The Joseph Saxton Gallery draws inspiration from a rich heritage of innovation and ideals in the arts, sciences, and architecture. 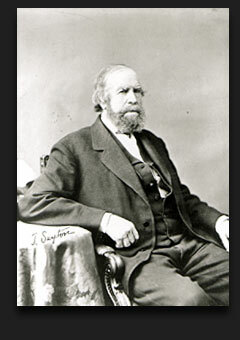 Credited with revolutionary designs in locomotive engineering, weights and measures, and even the fountain pen, Joseph Saxton is true pioneer among American inventors. Not the least of his contributions to science was the first extant daguerreotype made in the United States. Serving as a foundation for American photography, Saxton’s image of the Philadelphia Central High School was originally captured using a cigar box and glass lens, then developed with mercury, heated in a spoon. Although Joseph spent his life in Pennsylvania, the Saxton family is rooted in Canton, Ohio. Joseph’s brother John founded The Repository, Canton's first newspaper, while John's granddaughter, Ida Saxton married into the McKinley family. The Saxton house, not far from the Joseph Saxton Gallery, was later renovated and became the National First Ladies Museum. 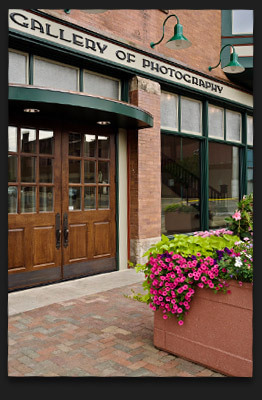 The Joseph Saxton Gallery of Photography makes its home in the historic A.H. Wilson Building in Canton’s Arts District. 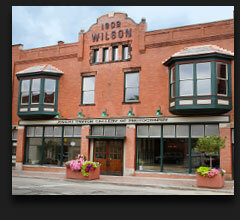 Built in 1909, the space was originally a Cadillac dealership and boasted the ability to house up to 300 cars. When it was built, the 13,000 square foot first floor was the largest single free span space between New York and Chicago. After the owner died, the property was converted into a parking garage, remaining as such for more than 80 years, until Tim Belden had the vision to reinvent the garage into the incredible art gallery it is today.